When humans go shopping for beds for ourselves, we instinctively know what size bed would be reasonable. For instance, a 6’5” man would never choose to sleep on a twin bed, and a 5-year-old would probably be overwhelmed on a king-size bed. Ordering the appropriate size bed for a dog, though, can be tricky. There’s no such thing as standard sizes for dog beds, so you probably want to measure your dog. But what are the important measurements? How much wiggle room should you build in? And does it matter if your dog usually sleeps curled up rather than stretched out? Check out our Bed Finder. To get started, find out what size bed we recommend for typical dogs of your dog’s breed. If you don't see your dog's breed listed there, there is a good chance we have it listed on the "Need help finding the right size" tool once you've chosen a bed. Some breeds have two size recommendations based on average weight ranges. These ranges are meant to suggest the size dog that is generally comfortable on each bed—they are not weight limits! For more precise sizing, measure your dog. Measure your dog from the snout to the base of the tail. You should choose a bed that’s at least this long. Remember that a dog bed isn’t just for sleeping, which is why we generally don’t recommend smaller beds for dogs who like to sleep curled up. Your dog should have enough room for lounging and toy-chewing on the bed, too. The bed length in the description includes the frame, so you may want to add a few inches to your measurement for the best fit. When in doubt, choose the bigger bed. 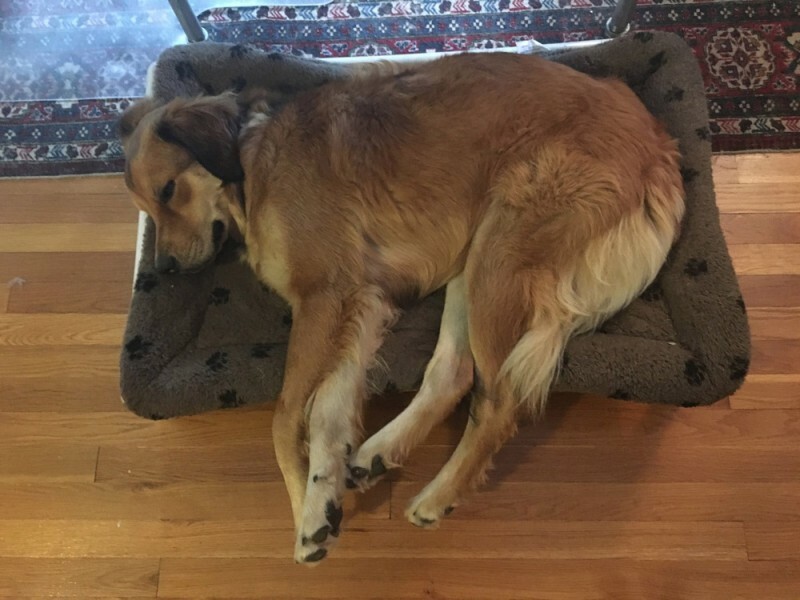 For standalone beds, there is no downside to buying a bed that’s a little big, especially if your dog is still growing. If you have multiple dogs in the house, you may want to order a size up so the dogs have more space for lounging together. 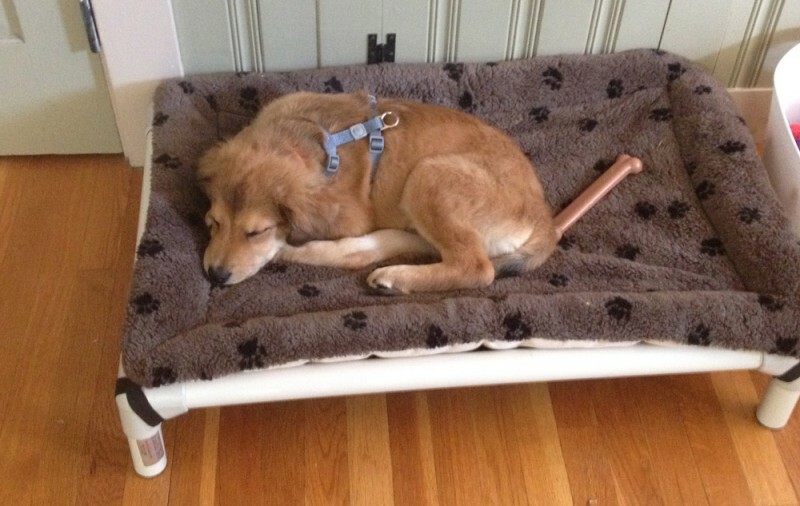 Still have questions about finding the right size dog bed for your dog? Just ask! We’ll be happy to help.